Local media placements are not just a stroke of luck, but careful research, planning and localization of your news. I’ve spent more than 15 years in the journalism and public relations arena, but I always keep my news hat on, and continue to think like a reporter. We’ve all heard about the cutbacks of reporters at newspapers throughout the country, so the remaining reporters are stretched very thin. Media are very busy today, so grabbing their attention with information that is pertinent to their readers is key. Take some time and do research about the publications you are looking to get placed in. Take note what each particular reporter writes about. Do they focus on a few towns or do they write about a particular topic, like healthcare or education? Sending reporter’s news hand-tailored to their beat, or specialty, will increase your chances of being picked up. Something outside their coverage will most likely be rejected as something outside their scope of work. Sending releases to local newspapers may require a bit of customization for each publication and their target market. 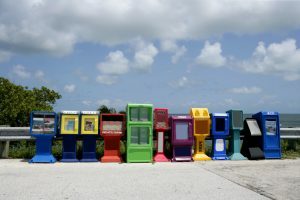 Hyperlocal is best for local reporters, who are tasked with covering all aspects of their town, including municipal news, education and community events. Once you’ve got your targeted media list, focus your release on that. It’s not a bad idea to have a couple of versions of your release to send to each publication. When sending releases, point out in the subject line or first sentence or two of your email why this is relevant to their coverage area. That signals to the reporter that the release is going to require a rewrite to bring the news to the front, so begin with the news of whatever the release is about. Remember that while you want to spread your good news, it does need to be newsworthy for the media. Don’t forget to include the six W’s (yes 6): Who, what, when, where, why. The sixth and most important is “who cares?” Why is this news and why should someone bother reading it? These simple steps should help you target your coverage for your best chances of gathering media attention.